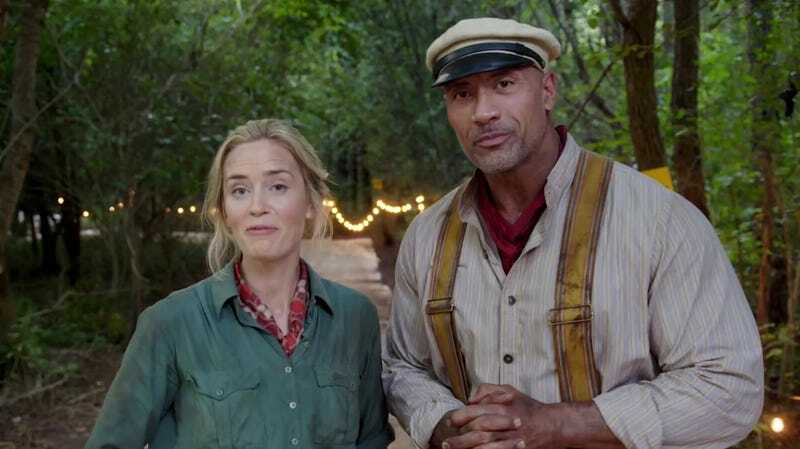 Emily Blunt and Dwayne Johnson on set of Jungle Cruise. These days, the Jungle Cruise ride in Disney theme parks is unlike any other ride there. That’s because it isn’t just about the ride itself, it’s about a full experience where “tour guides” joke about the ride while on the ride with silly, PG-rated jokes. It’s so unfunny, it actually becomes funny, and the new movie seems to be embracing that awkwardness. 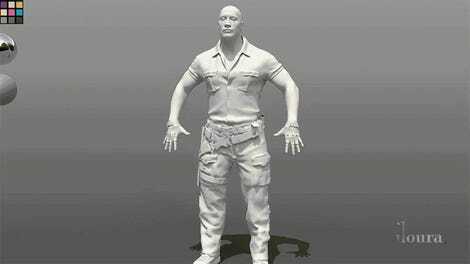 Disney just released a little video teasing the upcoming Jungle Cruise film, which stars Emily Blunt and Dwayne Johnson. In it, the two banter on set, in costume, and the jokes are just bad enough to make them kind of charming, which is exactly in the spirit of the ride. Check it out. Jungle Cruise was one of the original rides at Disneyland when it opened in 1955; at the time, its animatronic animals were state of the art. That quickly changed, though, and a few years later, the ride pivoted to be much more tongue-in-cheek about the whole thing with the jokes, not the animals, becoming the main attraction. And while the idea of a Jungle Cruise movie hasn’t been around for as long as the ride, in the years after the success of Pirates of the Caribbean films, Disney did try to get the ball rolling. At one point, Toy Story co-stars Tom Hanks and Tim Allen were even circling the project. Once Johnson came on board though, things moved rather quickly. The film stars not just Johnson and Blunt, but also Paul Giamatti, Édgar Ramírez, and Jesse Plemons among others. Plus, it’s being directed by Jaume Collet-Serra, known for Liam Neeson action films like Unknown and Non-Stop, as well as genre films like House of Wax and The Shallows. There’s a lot of potential here for another fun, funny, family adventure set in the jungle from Johnson and company. We’ll see what they have in store on October 11, 2019. How the Hell Did the Giant Alligator in Rampage Sneak From Florida to Chicago?